Summer's back, so excuse me for wanting to talk about sunblock. 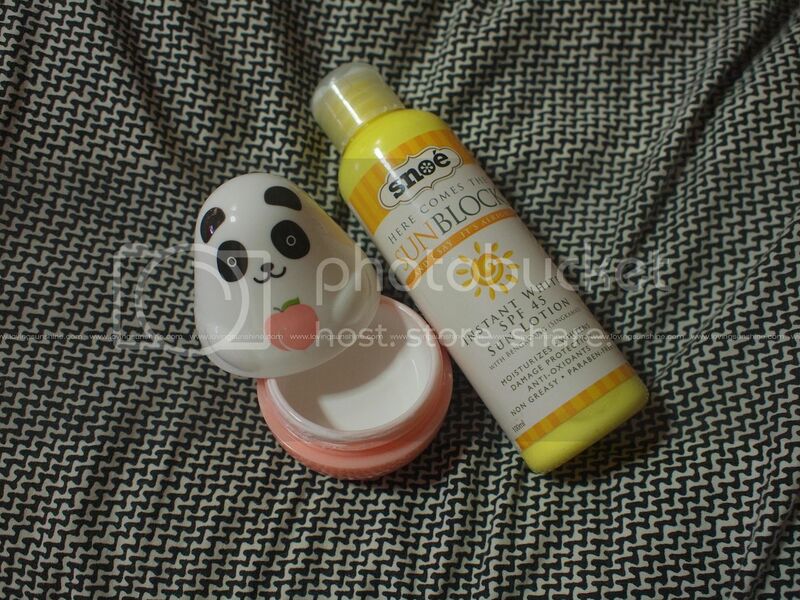 I know a lot of people (even myself) have not developed a more solid sunblock regimen, but products such as Snoe's Here Comes the Sunblock surely makes it easier to do so. But first, let me invite you to join my Summer giveaway! I received my Here Comes the Sunblock lotion last year. I must say, the bright yellow bottle got the best of me. I also love the name, naturally, so I can't not talk about it. 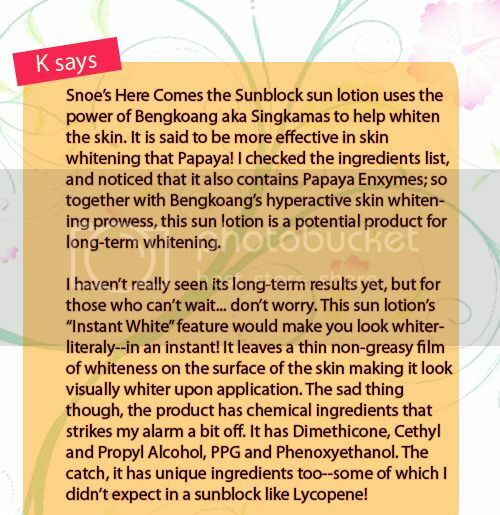 I waited for the season since it felt weird to talk about sunblock last Dec--now that it's more timely, let us count the ways. Damn, I love The Beatles. To those who noticed, I haven't been updating as I was hospitalized late last week. I just got back last Saturday evening and I feel a bit depressed for a few reasons. However; for the sake of maintaining the integrity of my blog's focus, I'm partially sad because while at the hospital I broke my nails! Yes, the very nails I worked hard in growing! Anyway, I don't want to be disheartened by it so I'm solid on growing them back and posting more pretty nail photos! 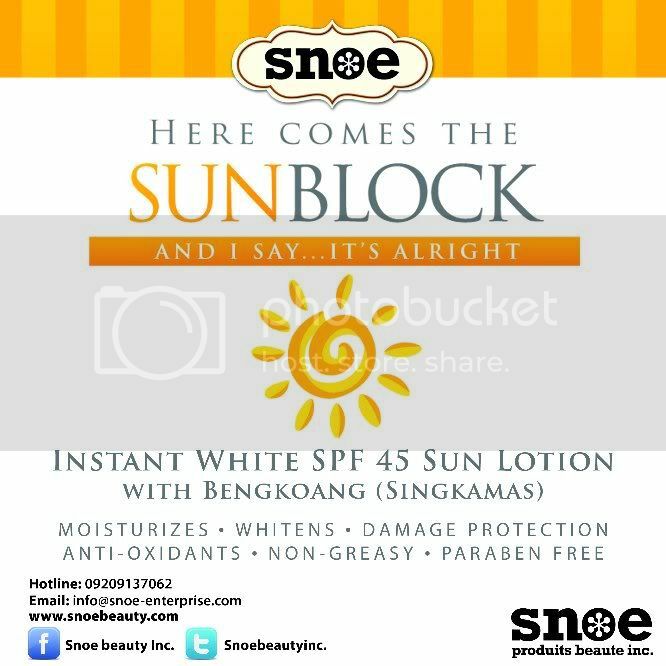 With this, let me just share one other way of using Snoe's Here Comes the Sunblock! Like I mentioned in my score card above, I couldn't use the sun lotion for my face as it stung like crazy (especially on the sides of my nose)! I use it minimally on my body as I'm more of a body oil person and I just apply the sun lotion where there's sun exposure. So the other way of using this sun lotion is as a hand cream. No it doesn't feel as creamy as most hand cream or salves are BUT it does help make nail polishes stand out and look fresher! Notice how fair hands do make polishes look lovelier? Well, this sun lotion's "instant white" feature helps me achieve that. I don't have perfect hands but I use my Snow Here Comes the Sunblock lotion to be a step nearer that! Whenever I use this sun lotion for my hands, my hands look fairer in an instant thus make my nail polish look newer and more vibrant! You should try it! The hands is among those body regions that can potentially betray you and reveal your age anyway--so taking care of it with a damage protecting and anti-aging lotion should be a must! 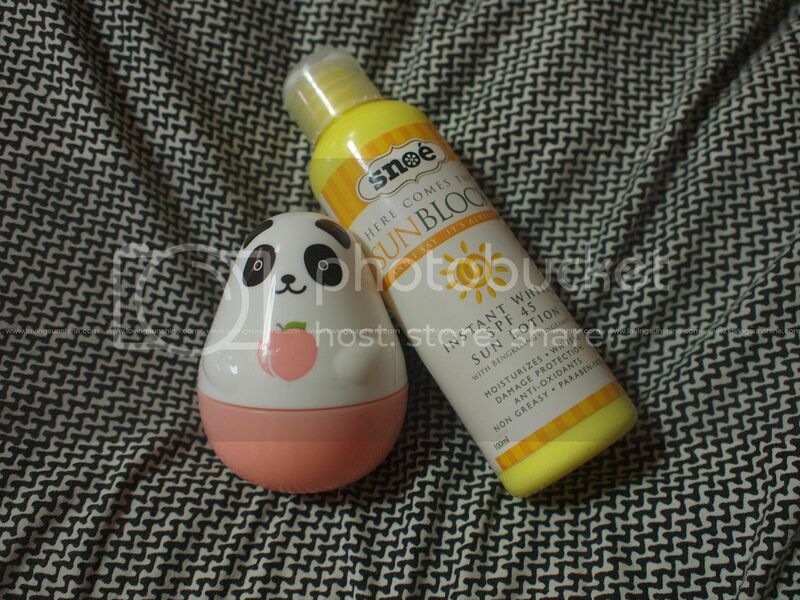 Because I love recycling and I love cute things, I haven't been bringing my Here Comes the Sunblock Sun lotion as is. 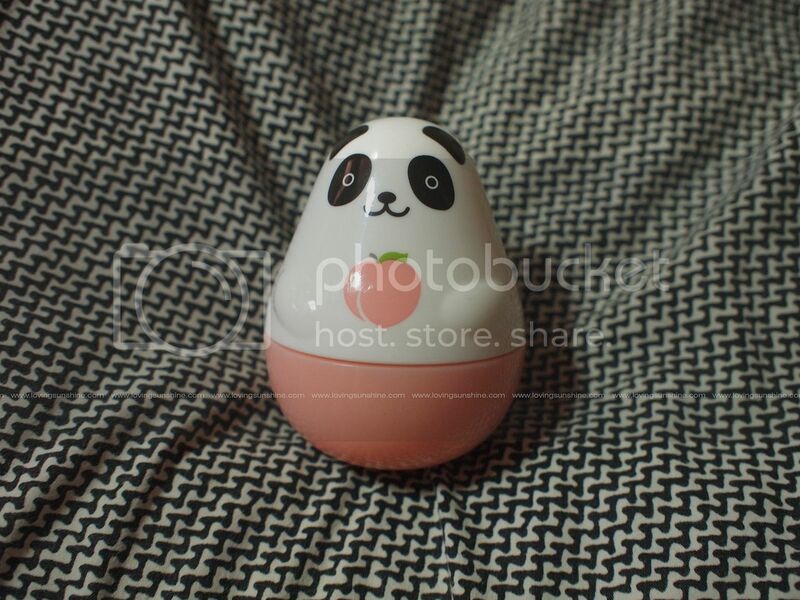 I transfer it to my Etude House Missing You hand cream case. So adorable! Say hello! Have you tried this lotion?